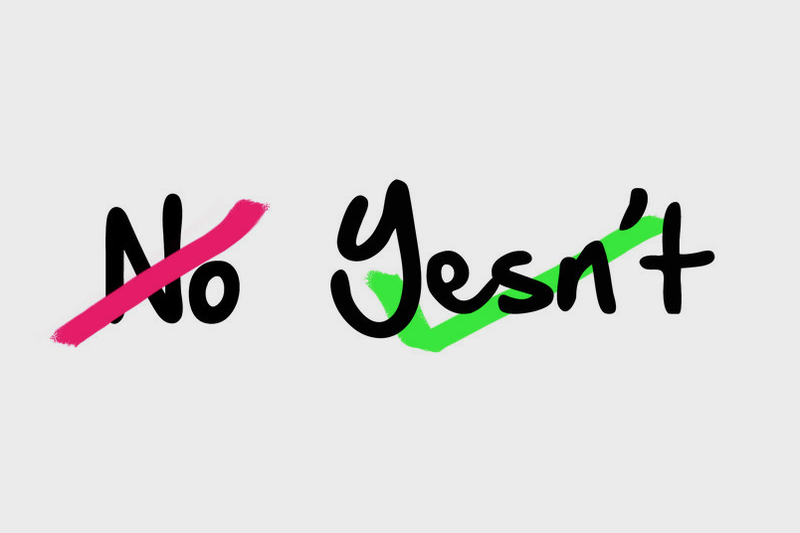 Could the Word ‘Yesn’t’ Replace ‘No’? I don’t know about you, but I’ve always struggled with saying “no” in life. It’s partly because I want to please people, do them favors, agree to their ideas — all of which leaves me feeling phony and overcommitted. 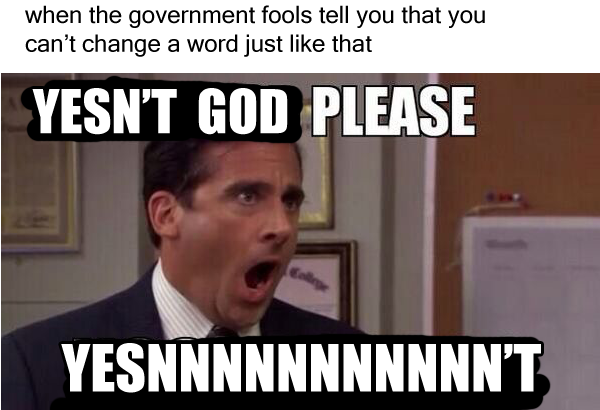 But it’s also just not a nice word, is it: “No.” So negative! It calls up the anxiety of rejection and the stress of arguing with a toddler. If your first reaction to his idea is “that’s stupid,” then I’m afraid you’re the stupid one, my friend. “Yesn’t” is the wave of the future, and it already has compelling grassroots support. OK, right now the only people lobbying for “yesn’t” are the redditors who hang out at r/dankmemes and r/me_irl, but somebody created a Change.org petition that has racked up almost 20,000 signatures. 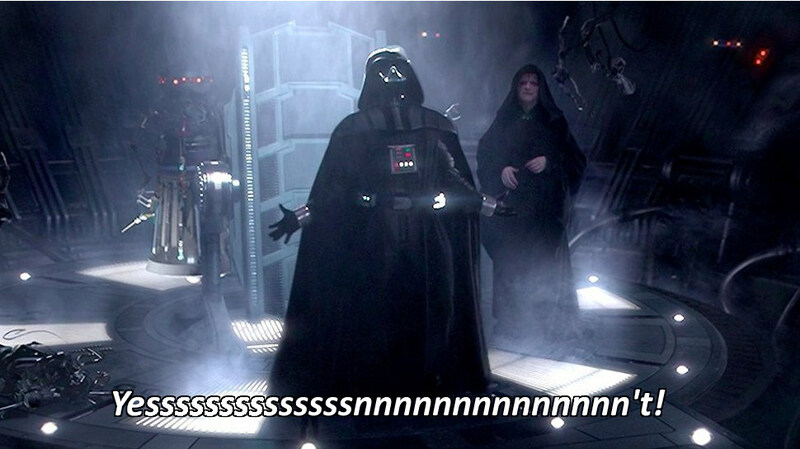 For the meme crowd, “yesn’t” has an esoteric appeal. It’s convoluted and confusing. 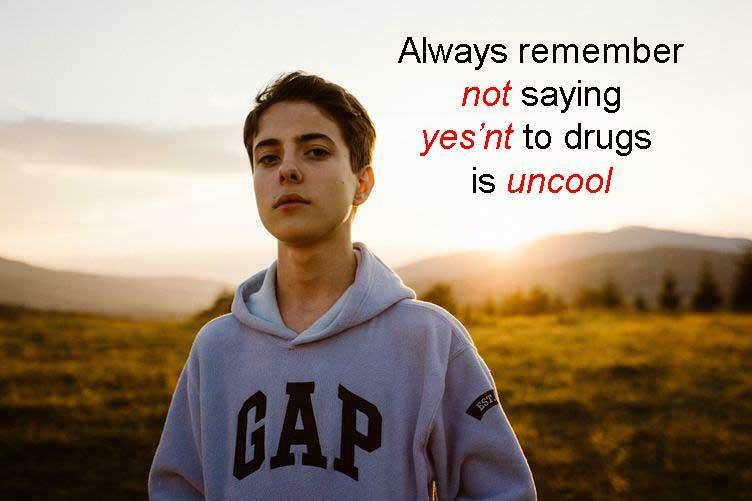 Substituting a “yesn’t” for each famous “no” — from those uttered by Michael Scott and Darth Vader to everyone’s favorite anti-drug campaign — is unnecessary labor that distorts our common reality, and nothing could be more fun to a meme obsessive. Fluency in “yesn’t” may also be used to satirize the internet’s smug grammarians, as when jokesters last year elaborated on the word “whom” with nonsensical variants like “whomst” and “whomst’d’ve.” These and “yesn’t” signal “ironic superior intelligence,” implicitly mocking anyone whose prime concern is being seen as the smartest person online. Finally, they are stepping stones to further absurdity — the kind practiced for its own sake, or as some avant-garde gesture toward the death of semantic meaning. To return to the original question of this article, though: Can we make the case for actually phasing out “no” entirely? It’s a deeply impractical proposal, to be sure — anglophone society has no means of enforcing such a rule in print and digital text, let alone speech. Meanwhile, as the sentence preceding this one demonstrates, “no” does not always figure as the pure opposite of “yes.” Are we to amend these instances to the rather awkward phrase “not any”? Surely there would be widespread resistance to these seismic shifts in usage. It’s difficult to envision a sincere campaign on this front meeting a result other than abject failure. Still… probably worth a shot. Aren’t you, too, sick of hearing, saying, and writing “no”? At this point, “no” is problematic. It’s exclusionary and reductive. It’s high time we at least had a viable alternative, and “yesn’t,” between its affirmative tone and sophisticated contraction (“yes not,” of course, has the formal beauty of conditional logic), seems to fit the bill. I’m not saying the switch can happen overnight; linguistic progress isn’t always as snappy as the addition of tech jargon to the dictionary or a killer new portmanteau. It will take time to adopt “yesn’t,” and training ourselves not to resort to “no” is sure to be a difficult first step. Those looking to rewire their verbal circuitry faster may avail themselves of this handy Firefox plugin that automatically replaces every “no” on a webpage with “yesn’t,” but note that it does the same anywhere the letters “n” and “o” appear in sequence.